Everyone makes use of social media sites these days. We are wired to love networking with other people, after all. And today, researchers state that over 70% of human communication is done online. It’s a good thing, because social media sites allow us to have access to opportunities that would be otherwise out of our reach. But being online, and especially having an active presence on social media sites, can pose quite a few security risks. Read this guide to learn how to stay safe and avoid being scammed online. Begin by choosing a strong password for your social media account. Resist the temptation to use the same password for all your social media channels. There are several guides that teach you how to create strong, and yet easy to remember passwords – this one, for example. No matter what you do, make sure that your password has at least 10…12 characters and includes special symbols as well. Don’t ever use your bank account or shopping accounts passwords for Twitter or Facebook. 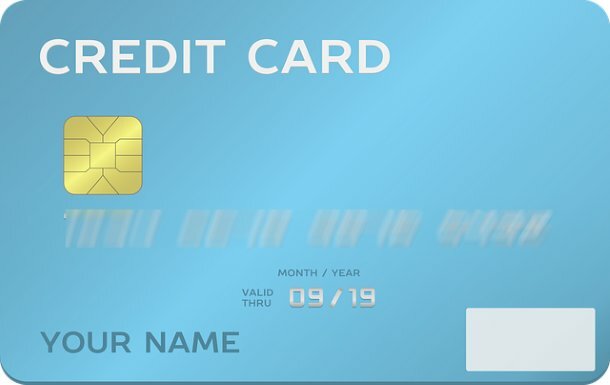 Don’t give hackers easy access to your hard-earned money. I know, it is very tempting to accept friend requests from people you’ve never met. Maybe they’ve got an attractive profile picture, or maybe they look like the kinds of persons you’d have a lot to learn from or be entertained by. But everything changes the moment you realize that these new virtual friends may be sexual predators, for example. Many evil people hide behind a nice-looking profile picture, so try to use social media sites for what they’re supposed to be: virtual communities, where you can interact with friends whenever you have a few minutes of free time at your disposal. It is quite tempting to brag about your newly acquired driver’s license, isn’t it? And why not post a picture of it on Facebook, to show everyone that you are now entitled to drive a car? As tempting as this may be, it is crucial to understand that some of your virtual friends may be interested in stealing your money, your possessions, and yes – even your identity! Don’t ever post pictures of your ID cards, credit cards or any other official documents online. And if you really have to do it, be sure to blur out all the information that matters. Don’t tell a thief that you are taking a two-week vacation starting tomorrow, for example. It will be very easy for him to discover where you live, and then break into your home. Sadly, some people give away this type of information without even knowing it! I’m thinking at apps that keep track of your location and report it to your friends, for example. It’s another argument that shows why you should never network with strangers. Set up and use a different email address for all your personal social media accounts. Get a free email address from a provider such as Yahoo or Gmail, and then update all your social media profiles, using the new email address for them. 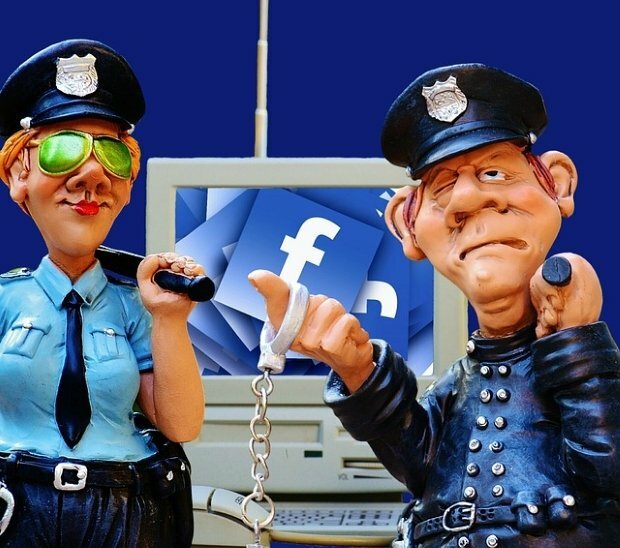 This way, if something goes wrong, you will not have to deal with the negative consequences that arise from having your social media accounts broken into, for example. 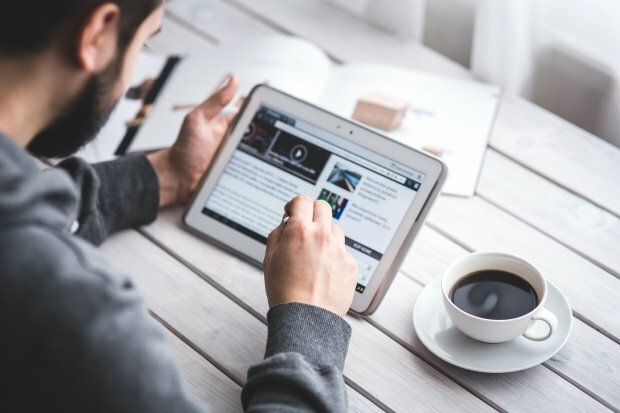 Most computers, tablets and smartphones get infected because their owners click that enticing looking link, which brings in a lot of trouble. Whenever you click a link that’s included in a message, you may download a piece of data stealing software, or you may end up visiting a website that does the same thing. And don’t even get me started on viruses or applications that turn your device into a remote-controlled, digital zombie! Children under 14 years old (or so) are not usually allowed to use social media sites. Some of them, sometimes with their parents’ approval, choose to break this rule, though. And – truth be told – a 14 years old child needs an adult to teach him or her how to behave online. Most adolescents are susceptible to a broad array of psychological problems, which can arise from improper social media usage. I am talking about the effects of cyber bullying, anti-social behaviors, depression, FOMO (fear of missing out), and so on. So be sure to discuss proper online habits with your children, and teach them how to stay safe on social media. Social media is supposed to be – and often time is! – fun and useful. Follow these principles and I guarantee that you’ll end up having a pleasant social media experience. As a generation, we are doomed. And so are our children! We spend many hours each day reading countless social media posts, and scrolling down until we reach the end of the queue. But the main problem is that…the queue never ends! The explanation is simple: the number of social media accounts is constantly growing. This means that there is more and more information to consume each day! 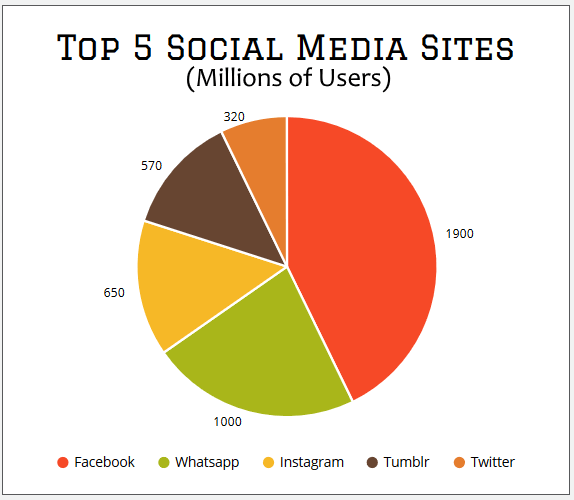 Data Alliance has created a graph that shows the approximate number of users for the top five social media sites – take a look! So, how can you tell if you’re addicted to social media? First of all, think about your regular activities throughout the day. Do you wake up with a pressing purge to check your Facebook page? 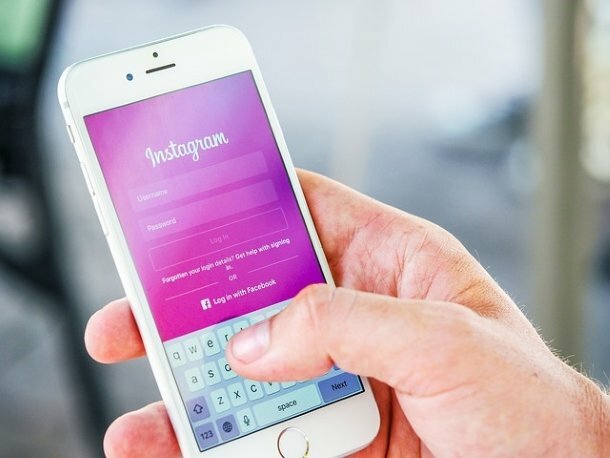 Do you waste a few hours each day exploring various #hashtags and looking at your friends’ newest Instagram pictures? If the answers are affirmative, you may have a problem. Let’s break it down into easier to digest social media addiction signs and symptoms. One of the definitions of compulsive behavior is the desire to repeat a specific action over and over, whenever it is possible to do it. Translated to social media, this may explain your urge to check those feeds in almost any situation, even while you are talking to a real person. How do you fix this problem? Strive to check the latest social media updates only while you are waiting in line, or when you’re having a coffee on your own. Another idea is to check what your Facebook friends are doing during your lunch time break. Social media addictions can lead to marital problems as well. While it’s OK to look up a former colleague on LinkedIn while waiting for an egg to boil, it is toxic to do things like these for hours at home, rather than spending time with your partner. To fix this issue, decide together that you will not use your phones or tablets at home during certain intervals, unless there’s a pressing need to break the rule. Some social media addicts can ruin everyone’s experience by taking lots of pictures during a fun sightseeing event, for example. Actually, taking those pictures is okay, but compulsively posting them on 10 social media sites during the event, along with “oh man, we’re having so much fun” comments is definitely not. If you exhibit a similar behavior, get rid of this problem for good by taking as many pictures as you need, but posting them afterwards, when the momentum has died down. Okay, I think that I have given you enough pointers; you should know if you’re a social media addict by now. But how do you get rid of this addiction? Let’s start with a radical measure: delete the social media apps that are installed on your phone. Wow, that is quite abrupt, isn’t it? If you are super addicted to social media, this may be the only solution you’ve got at your disposal! Fear not, though; I’m not trying to turn you into the saddest person on Earth, and make you lose those thousands of cherished virtual friends. No, I’m just saying that you should take a break from social media sites for a few weeks, and uninstalling those social media applications will help you resist the temptation. If you can’t do that, or if social media is just a hobby for you, and not an immediate threat, you can get more control over your time by turning off all social media notifications and alerts. To gain even more peace of mind and keep your boss happy, you should turn off your smartphone’s virtual data switch while you are at work. This way, you will only get phone calls and text messages (SMS) from 9 to 5. And if you’re brave enough, do the same thing for an hour in the evening, and spend this precious time with your wife and kids.